I eat more ice cream in the winter than in the summer. I enjoy a good bowl of ramen or pho on a hot summer day. I bake more in the summer than in the winter. I don’t know what it is (maybe my body is calibrated to the opposite side of the hemisphere? ), but I tend to eat atypical foods seasonally. Am I the only one here on this? So it’s summer and it’s HOT. And this is coming from a girl who was born in LA. I LOVE the cold. While I lived in New York, most of my friends complained about the snow storms and low temps, I relished in it. So when the temps jump to above 80 degrees, I’m not too stoked. Yet I crave hot things. And that’s not limited to the spicy-hot variety. 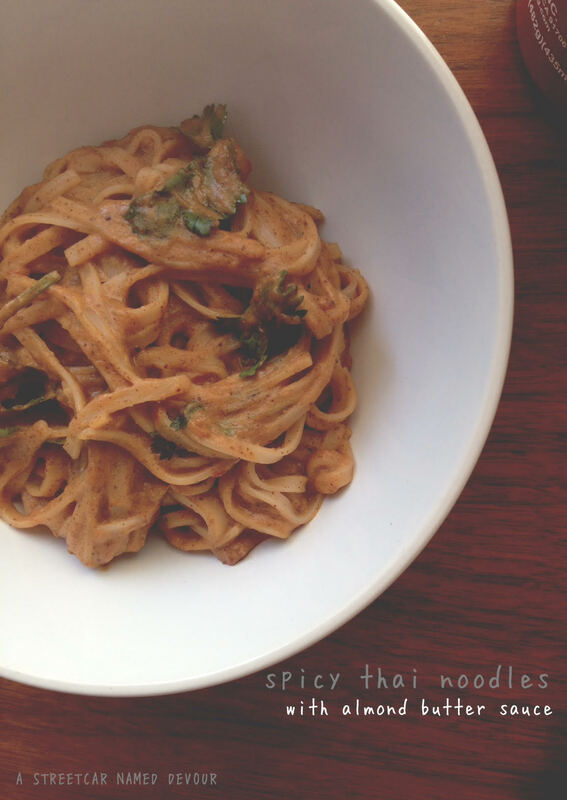 I make this Thai-style noodle dish a lot in the summer. 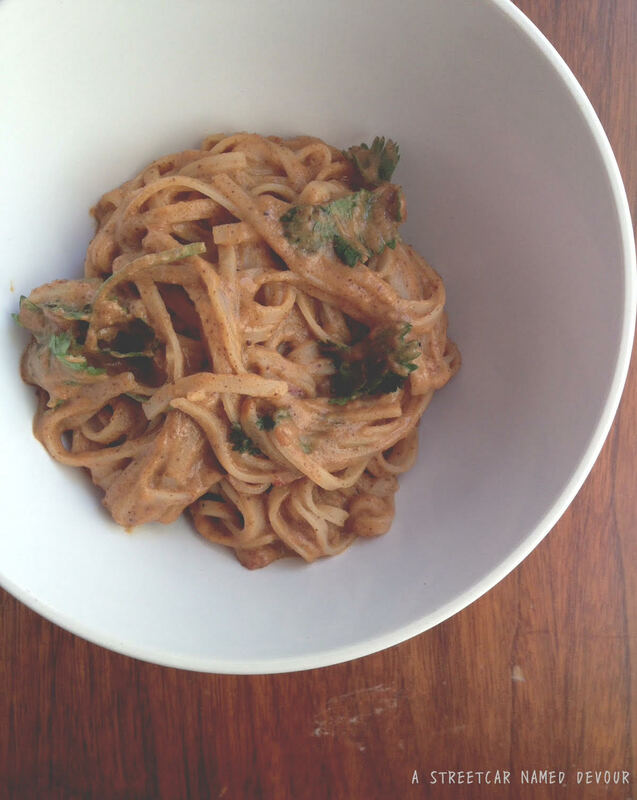 Instead of the standard peanut sauce, I swap it for almond butter, which is just as good. 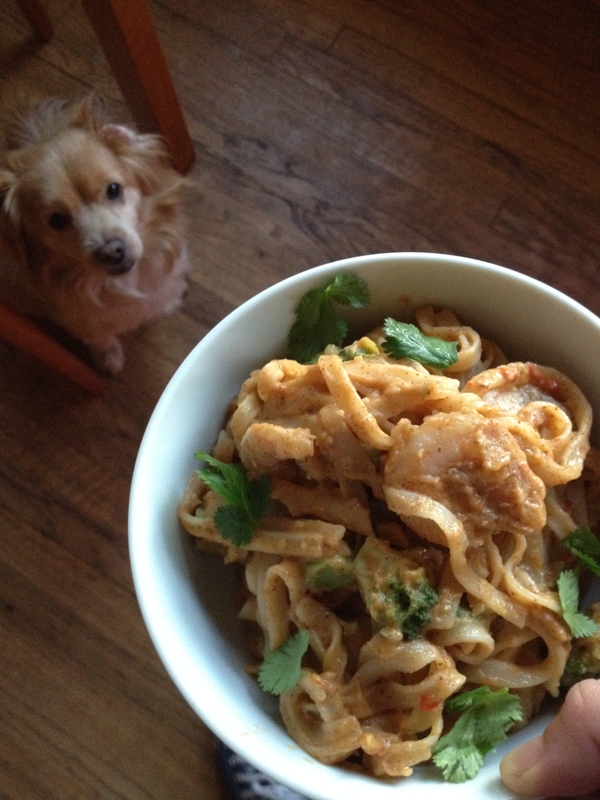 This time around I opted for a vegetarian version, but I’ve made this dish with shrimp, chicken, pork and tofu. All of which tasted excellent. 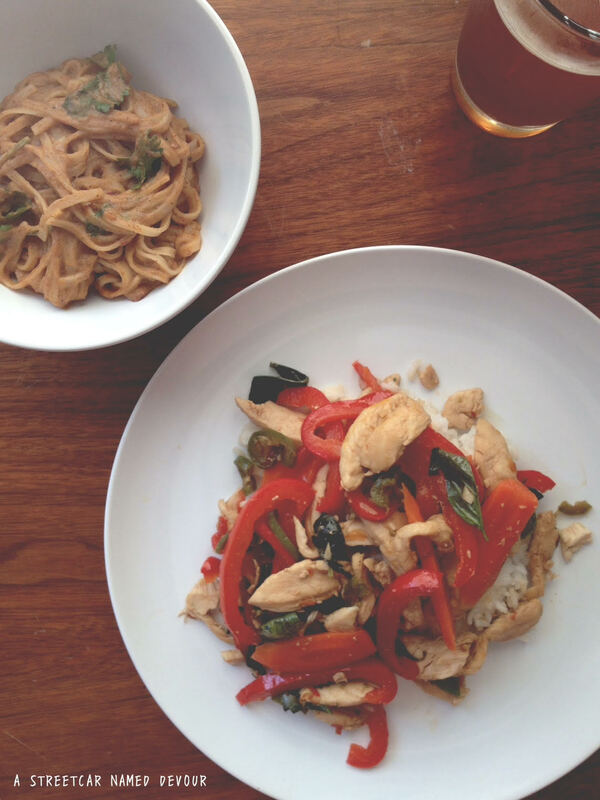 Love pairing these noodles with this Thai Basil Chicken dish. Cook the noodles according to the manufacturers’ directions. As the noodles are cooking, whisk together all of the ingredients in a shallow skillet or pan. 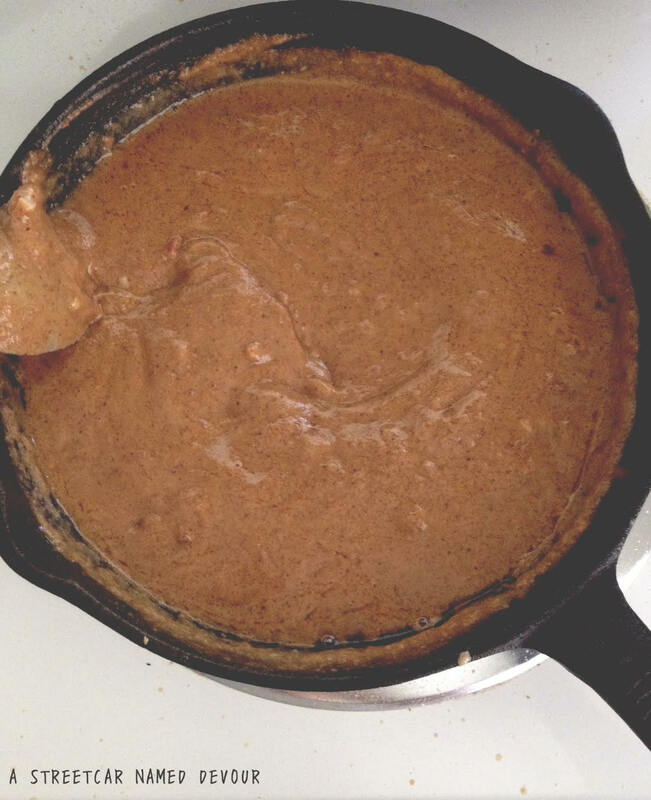 Cook over medium heat until the almond butter is completely melted and the sauce is smooth. 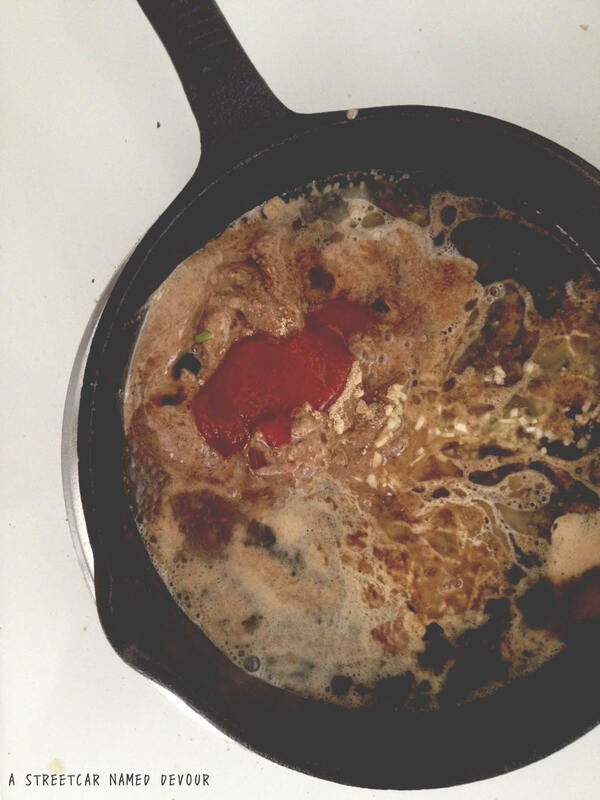 If the sauce is too thick, add in another 1/2 cup of chicken stock to thin out. Adjust spice accordingly. Turn off the heat. 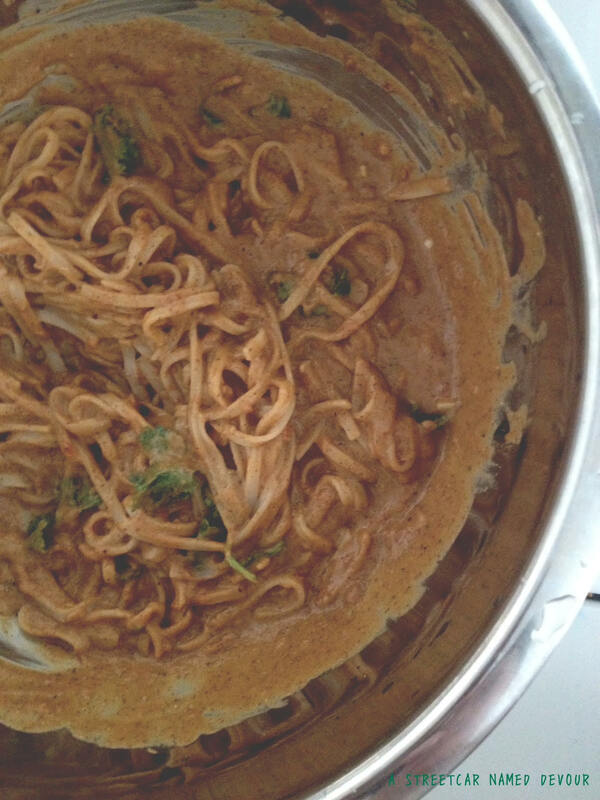 In a large bowl, place the drained noodles and mix in the almond butter sauce. Sprinkle with cilantro leaves and serve immediately.